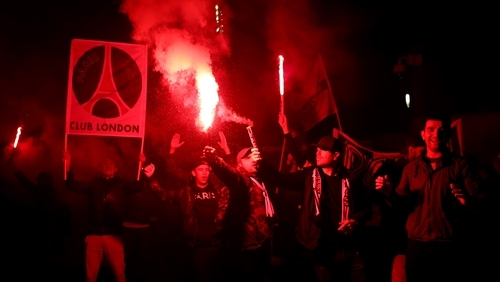 Before the first leg of the quarter-final tie at Kingsmeadow, a coach carrying about 50 PSG fans, who had travelled to London from France overnight, was turned away from the ground. The Metropolitan Police said "knives and knuckledusters" were recovered while one man was arrested for possession of class A drugs. There were also reports of vandalism at the stadium during Thursday morning, as well as disorder later on at Waterloo and Wimbledon stations. 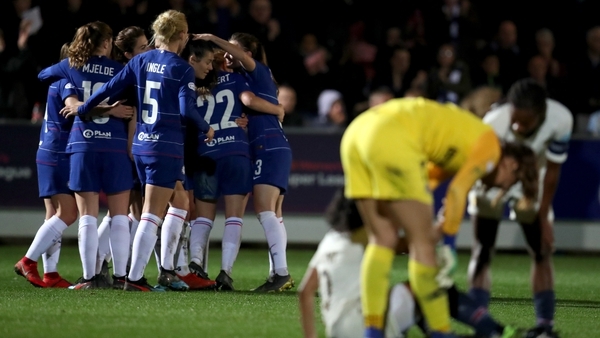 Chelsea won the first leg 2-0.